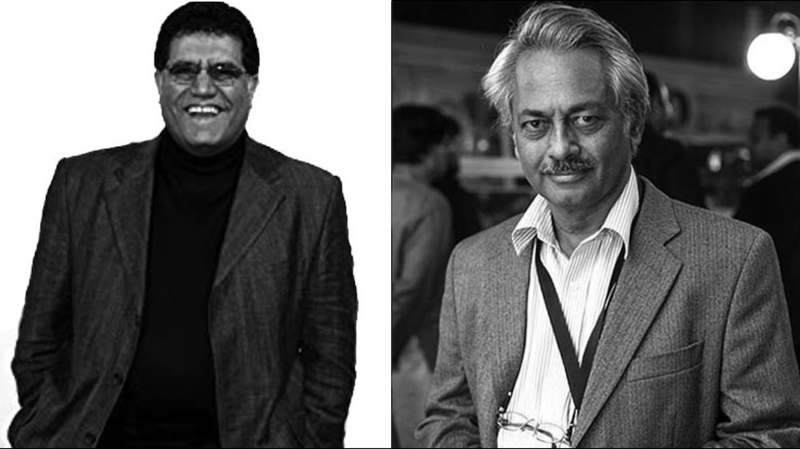 Golden Globe winning Afghan filmmaker and producer Siddiq Barmak and fourteen-time National award winning Indian filmmaker Padma Shri Dr. Girish Kasaravalli were in Singapore for the second edition of the Singapore South Asian International Film Festival (Sg.SAIFF). Ram met the two filmmakers one morning at the lobby of the hotel they stayed in. (Ram had watched Siddiq Barmak’s Osama the previous day.) Festival director Amit Agarwal, who facilitated the interview session, was present too, chipping in with his thoughts occasionally. Read on to know more about these two filmmakers, their learnings from film school, their methods of working with actors, the filmmaking trends in their countries, their preferred mode of watching films, and their thoughts about film festivals. Ram: What draws you to film festivals? Do you have any fond memories? Siddiq: For me, attending a film festival is one more opportunity to learn cinema. Without a doubt, it’s a very good stage, a good bridge to link with different languages, different cultures, different stories and different people. I always remember this statement by my friend Mohsen Makhmalbaf, “We are a citizen of cinema!” When I attend a film festival, I feel that I’m really from the land of cinema, I belong to it. It’s a good opportunity to see how different people talk through images of themselves. Perhaps there are many things in common that can attract me and that I can relate to. Mostly I like small film festivals, not so much the bigger festivals with all kinds of attractions and sensations. Most film festivals are no longer a real platform to find a good art film. Unfortunately, most film festivals today have become artificial and are looking for business gains. I truly appreciate very small film festivals around the world. Girish: There are many reasons as to why I attend film festivals. Cinema is a medium that keeps changing every ten years. Its grammar changes, its idiom changes. One of the reasons I attend film festivals is to understand how this medium is adjusting itself to new developments. Cinema is essentially a technological medium. When there’s a change in technology, cinema’s idiom changes, and its expression changes. The second and perhaps the most important reason is, cinema always addresses the contemporary socio-political and religious issues of the nation. This is one way of understanding how a creative mind of another country or space reacts to these changes. A filmmaker or any artist for that matter never keeps quiet. They always constantly interact with the society. Film festivals help me understand how the intelligentsia of a country or community is reacting to current situations. Often, we get a one-sided version of a socio-political issue through the media. A film is made by insiders, the issues are addressed by an insider. That’s one of the reasons why I always want to catch up with contemporary films. Sitting in a remote village in one part of India, I get to know what’s happening in the world only through the media. Media always reports incidents. They’re not insiders. Fiction and cinema give you the version of an insider. Ram: Both of you have studied cinema and filmmaking at a film school. How has this differentiated you from other filmmakers? Is there something from your film school experience that has stayed with you all this time? Girish: One of the most cherished period of my life is my days in Film and Television Institute of India. For many reasons. Those were the days when one wouldn’t get the chance to see good films outside film schools. Today you can get it in various forms, online and as DVDs. But in those days, if one had to see good films and study cinema, one had to attend film school. The difference between a film school graduate and an outsider—in film schools we’re taught the philosophy of filmmaking, not just the art and craft of filmmaking. We were made to debate and discuss each idiom, and the philosophy behind it. We developed an understanding of those idioms. If one used a specific kind of mise en scene, one had to justify why one has used it. That made the student think about other possibilities… beyond the craft. If one is using a 35mm lens, it shouldn’t be just for the depth of field. The student also had to explain why he was using it, and for what aesthetic purpose. That made one aware of the potential of the idiom. Second most important thing is that, you have an ambience wherein you could discuss cinema—not the commerce of cinema but the art of cinema. In FTII we had the opportunity to watch a master’s work, dissect it, fight over it. Somebody would say it’s a bad film, somebody would say he’s the greatest filmmaker, then we’d quarrel over it. I don’t find that kind of atmosphere outside. Of course you can have individual interactions outside, but there you had groups. You had twenty people discussing a film! Twenty people, thirty people, sometimes hitting each other because one doesn’t agree with the other! (laughs) Such kind of an atmosphere. That is what made me what I am today. Of course, you always had teachers, and you had access to films. One could sit with a colleague and dissect each scene. Today you can rewatch a film on your laptop. Those were the days when we had to project the film. That was a great opportunity for us. Siddiq: I was very young when I attended film school. I was 19 years old. Before that I had my own imagination of the techniques of cinema. I loved to find nice angles to shoot a film. As Girish Saab [Sir] said, it was an opportunity to discover the philosophy of art and go beyond the techniques. I learnt a lot when I watched the history of cinema and discovered for myself, for example, the New Wave of French cinema, Neorealism of Italy or Russian classical cinema. I learnt that behind every picture, every colour, every word, there’s something else, a philosophy. I went deep into cinema. My first film, which was 7 minutes long, without any dialogue, was a reflection of this period, when I was changing inside of myself. It was a good opportunity to exchange experiences. Of course it’s impossible to learn cinema. How can you learn how to love someone? It’s something inside of you. We call it jowhar. Jowhar ko kya kehte hain? [What do you call jowhar?] Instinct. You can improve the scale and make it a little deeper and wider. Film school, especially the Russian school I went to, (Moscow Film Institute) was established by Eisenstein and Pudovkin. It was a completely different world for me. There is this other very good alternative: Not everyone gets the opportunity to work with him, which I did. The point he kept making was that the most important learning in a film school was watching good films. If as an aspiring filmmaker, you watch a lot of good films and you think deeply about them, that’s a very big part of the job already done. I feel youngsters today are coming into filmmaking with notions of making some kind of a genre film. They’re not engaging deeply with cinema as an art form. Even if you don’t want to make that kind of a film, it’s the foundation of your learning about cinema. You should have seen the top 200 films made by master filmmakers in the last century. Cinema is a young art form. It’s just 100 years old. It’s possible to see all of the best films, unlike literature which is a vast ocean. Both of these senior directors went to film schools where there was a culture of watching and discussing films. I’m not sure if that culture is alive today. Too many film schools have mushroomed in recent times. The quality is probably going away. Ram: Is there a particular way in which you like to watch films? Do you prefer watching movies in cinema halls or at home? Girish: I prefer to watch films on my laptop or computer, for the simple reason that I can pause the film at any moment if I don’t understand something (laughs). I read the subtitles once again and watch it again. I can go back if I missed some part. You can always go back when you’re reading a book. When you project a film in a theatre you don’t have that facility. Watching on my laptop or mobile device doesn’t lessen my experience. When I’m watching a film on my mobile my eyes are adjusted to only that much of a world (draws a mobile screen in air with his fingers). I’m not watching other things around me. The only difference is that you’re not watching with other people. You’re not watching it in darkness. Darkness always helps in enjoying the film. But I’m not watching films just for enjoyment. I’m also trying to understand the politics and the philosophy of the film I’ve decided to watch. This is better for me because sometimes I also want to know what kind of lens is used, what kind of movement is used, where is music used, all of that. I prefer to watch a movie for the first time without any obstruction. The second time, I don’t watch at a stretch, I pause the film wherever I want. Earlier we had to go to our editing room and use special equipment for doing that. Today you get it in your drawing room. You can sit late in the night and watch it. Many times you don’t watch the full film. You watch those scenes that have impressed you much. While watching such scenes, you note down how they are constructed, where is the music used, why is it not used in certain places, how is sound used in the film, and all these things, which you miss in the first screening. Watching on the laptop and watching in a private space have that advantage. I prefer to do that. Siddiq: I still prefer to watch films in movie theatres. Of course today’s technology can provide you various opportunities to watch films. As Girish Saab said, you can watch the film at any place, rewind, forward and what not. But the big screen is still something else for me. It’s not only because of discovering something or focusing on different things on the big screen. For me each second means something larger, even beyond what makes up a single second. It’s not just time running but it’s something else. The other reason is closely linked to my childhood. When the first time I went to a cinema and the screen was opened (motions with his hand to indicate the screen curtains coming off) something appeared on the big screen, everything became different in that moment. Even when I’m watching something on a small screen, I try to switch off all the lights and make the room dark to focus much more. But I still love movie theatres. I like the experience of going to the movies as an ordinary person, buying a ticket (gestures holding a ticket in his hand), going inside and finding your seat among the crowd. Finally when the big picture appears, it’s a very emotional moment for me. I love movie theatres. It was so disappointing when two movie theatres—my house was located between two movie theatres in Kabul—were completely destroyed. Those were dark days for me when I saw that they’re trying to building big malls and shops instead of a cinema hall there. Girish: The other thing I want to say about watching films in a theatre is the kind of distractions that you get. While watching certain scenes which you think are very important, somebody sitting next to you will be talking on the mobile or talking to a friend. It’s such a distraction. The person might go and get popcorn and make noise while eating. Those are the kind of things that I really don’t like. That’s why I prefer to watch, not on the laptop but slightly bigger screen in my own house. Fortunately a lot of my friends have constructed their own private theatres. I don’t have it, but I wish I had one such thing, where the screen is very big but you watch with some ten people who are similar in their taste and approach to cinema. So that you don’t end up listening to their phone conversations! Ram: Is there any current trend in filmmaking in your country that excites you or bothers you? Girish: I come from India and I’m very happy with what is happening today in Indian cinema. Lot of youngsters are making interesting experiments. Unfortunately when we speak about cinema we only talk about feature films, but documentaries form a major chunk of cinema. Indian documentaries are way ahead of Indian feature films. They are handling very bold themes, they are directly going into the field. Their interpretations and their style, everything is very fascinating. Things have changed a lot in the Indian feature film scenario too. They are more into trying to construct a film in a very different way. This is quite different from what we were used to in later 20th century. Their stress isn’t just on the narration alone, but also on how the story unfolds. The way they construct a scene, how they use space and time is all very fascinating. A lot of youngsters are experimenting with time in cinema—cinematic time. I find this very interesting because the earlier generation never cared for it. Eisenstein talked about space… now everybody is talking about time, cinematic time. “Sculpting in time,” as Tarkovsky said. It is time that designs the film. People are aware and they’re experimenting with it. I belong to a slightly older generation. This is the new phase in cinema that fascinates me. We may not be having masters like Ray or Mrinal Sen but there are definitely people who are trying new experiments, new kind of narration. Court is one interesting film by Chaitanya. Gurvinder Singh has made interesting films. There are quite a few such filmmakers. By just mentioning two names I’m not trying to say that they are the only two people. There are many promising filmmakers. Siddiq: Originally I come from Afghanistan. The film industry there isn’t as big as the one in India. We are producing a small volume of films—like 5 or 10 feature films, about 20 to 25 documentaries per year. But we make a lot of short films. I must say that Afghan cinema history doesn’t go back too long. The first Afghan film was made in 1946-47 (Love and Friendship). It was done by Corporation of Indian Filmmakers. Still we don’t have any special structure or policies for cinema. The 80s were an exception, when the Communist regime of Soviet Union was established. They had a special cinema programme that produced 5 to 10 films per year. They were producing and financing the films. Everything was in the hands of the government. During the Taliban rule there was no movie theatre, no cinema, everything was banned. After the collapse of the Taliban, when the new government was established in 2002, unfortunately they announced an open market policy. They refused to give any money for cinema in Afghanistan. It was a big, big disturbing moment for Afghan cinema, which was too dependent on government subsidy until then. Slowly, slowly, Afghan filmmakers found avenues to finance their films. Thanks to the digital revolution, it was possible to make short films and documentaries. A few filmmakers like me, Atiq Rahimi and few others began to search for funding outside of Afghanistan. Finding financial resources is the most important and sometimes very difficult period of the production process in Afghanistan. I’m so happy that this digital revolution has given an opportunity for young filmmakers to promote themselves and show that they have their own voice, they can say something through their small cameras or even their mobile phones. I’m very happy that there is a wave, a new movement of female filmmakers in Afghanistan, who are doing a very good job, especially documentary films. There are many promising faces and names. Ram: Around the time Osama released (2003), you mentioned in one of your interviews that there were about 12 filmmakers in the whole of Afghanistan. Has the situation improved today? Siddiq: There are two film schools in Afghanistan. One of them is Kabul University Fine Arts Faculty. The second one is a private film school. Both of them are trying to do something, but you know the most important thing is that there was absence of good curriculum in these schools. Unfortunately there is still a battle between the existence and non-existence of these kind of film schools in Afghanistan. I remember that for the two years I was teaching there, I had a lot of difficulties. Two of my students were very good, talented people… but they were facing a lot of problems with another faculty. They had to learn some religious subjects along with cinema. Just because they were students of film school, they were getting very poor marks from their religious teachers. They were saying that you’re all eliminated because you’re a filmmaker. Khuda ko shukr karo ki hum aapko nahi marte. [Be happy that we don’t kill you.] It’s a very bad situation. It’s a battle between modernism and tradition, modernism and religion. In every sphere of our life you can find this battle and struggle. The clash between cinema and religion is the most dangerous. I must say that even the young generation who are studying in Kabul University suffer from this. Ram: You mentioned in another interview about Mobile Cinema, a project you initiated “to travel throughout the country in buses and show various films, in an effort to bring a positive, life-affirming message to the people rebuilding their lives after the war”. How has the reception been to this in Afghanistan? You could even talk about the reaction to Osama in particular. Siddiq: It depends on the time and period. From the time Taliban collapsed in 2002, until about 2007-08, we had a somewhat peaceful time. The people were very eager to watch cinema, even the Mobile Cinema. Actually, we rehabilitated the tradition of mobile cinema. It existed earlier too. We sent a lot of films, including Afghan films, some films from the history of cinema, some good Indian films too. They were very well-received. I am thinking of 2002—the first time we sent the caravan of Mobile Cinema around Afghanistan. I remember one of the holy men, whom we call a mullah, even he allowed us to show our film… We couldn’t find a big screen. The big screen was damaged due to a storm. The wall of the mosque was white. They used the wall of the mosque to show a film of Charlie Chaplin, or Buster Keaton. I received a lot of good feedback and letters from different people. But now can you imagine how the time has changed? Due to a thousand reasons, the people who used to watch these films in villages, I’m sure they’ve taken up guns and are fighting for their rights. Unfortunately it’s an absolutely different time. But people love to go to cinema. I remember going to scout for locations for my second project and we went to a very mountainous area in central Afghanistan, like Ladakh in India. A very old man in white took us home for lunch. I saw that he has a big television and he’s watching an Indian television series. He lives in a very remote area! I asked him if he has electricity and he said, “Yes! I have solar panels.” He has satellite dishes, solar panels and he watches Indian television series. (laughs) So it’s a big change. People love to watch films, listening to the music. But unfortunately, everything depends on the very bad political games in Afghanistan, which is really disturbing this creative process and having a very bad impact on people. Ram: Is there any one film that completely transformed your perceptions of cinema? Girish: It didn’t happen just once, it happened many times. For anyone who joins film school the first films that interest you most are the neorealist ones like Bicycle Thieves, Pather Panchali… The course in a film school is programmed such that you are introduced to the history of cinema through neorealism. That’s because it is one phase of filmmaking that is easy to comprehend. They don’t straight away start with Tarkovsky or Godard. They start with simpler films like The Wages of Fear and Chaplin’s films. Until sometime you think that this should be the model for cinema. Suddenly they start showing Alain Resnais‘s films, Bergman’s Wild Strawberries. And you think “Oh my god this is a different kind of cinema!” At every stage you have this reaction. Godard was introduced later. When I left the film institute, Tarkovsky had not yet come out with major films. So we didn’t study Tarkovsky at that time. But later Tarkovsky became famous. As I told you earlier, the notion of cinematic construction also kept changing every decade. You had the political cinema of the 80s, then the Scandinavian cinema, and now you have Iranian cinema. The cinematic grammar and your perception of cinema also change. But philosophy is different from grammar. What do you do using this grammar? What kind of insight do you bring? That’s a different matter. I’m talking purely about grammar. Grammar keeps changing. You also suddenly realise that something is outdated and something else is new. But cinema is not only a fashion parade. Sometimes someone is still making films with old grammar but with great insight, philosophy, politics and experience. Siddiq: I grew up on Bollywood films. Two films shocked me and changed my perception of cinema. One was an Iranian film by Masud Kimiai. The other one was Ankur directed by Shyam Benegal Saab. The first time I watched Ankur, I thought, “Oh my God! This is also an Indian film but it’s so true and real.” I was about 16 or 17 when I watched these films. When I went to film school, I realised that there is a different kind of cinema. Of course, films like Bicycle Thieves by De Sica or The 400 Blows by Truffaut had a very strong impact on me. They absolutely changed my perception of cinema. Ram: What was the Iranian film by Masud Kimiai you mentioned? Siddiq: It was a film named The Soil. There was another Iranian film that impacted me – The Cow. It was made by Dariush Mehrjui. Ram: I’m curious about your process of working with actors. Do you have a fixed approach or does it change from film to film? Girish: Most of the time I work with newcomers. I just pick up people who resemble the imagined character and I start working with them. There is no fixed method of working. I don’t rehearse. I go there, explain the scene and shot to them. We rehearse four to five times on the spot, and try to finish in one or two takes. I do this because my films are made on a very small budget. If there are more takes, the budget will be higher. But we rehearse a lot. I don’t have the facility to rehearse with my actors fifteen days in advance. That becomes very expensive too. I have also not worked with many established actors—I’ve worked with few but most of the time I work with newcomers. Siddiq: I have made only one short film with professional actors. I was required to talk to them many times and describe the idea I had in mind. Of course then they have their own idea of how to create the intended effect. It’s a joint work. For the two feature films that I made, Osama and Opium War, I worked with non-professionals. It was a completely different world. I used different methods for them. For example, I realised that some of them have no idea about cinema. They didn’t know about pictures. It was very difficult for me to explain to them. Then I realised that it’s better not to tell them about the story. I just made improvisations. Sometimes I played with them technically. I was simply looking for results in the process. But they didn’t know what I was doing, and some of them didn’t care about the results. For Osama, I also used some techniques of cheating actors. For example, I gave one proposition to one of the actors and gave the completely opposite instruction to another actor. This kind of emotional clash was creating the kind of reactions I really needed. It was a very enjoyable experience. There wasn’t one particular method that I used. There were at least four different methods I used. Method of explanation and technique. Then there’s the method of copying. You act out the scene and they copy you. Then you have the method of tricking. We have very special terminology for them in our language. Tawzihi, Taqlidi, Elqaei, Tahriki and Tekniki—these are the methods, which I learned from Mr. Makhmalbaf, and also through my long experience of working on different film projects and with different actors. When working with non-professional actors, you have to find some common traits between their lives and history and that of the characters you created. These common things can create a point of intersection that they can relate to. For example, in Osama, I worked with Marina Golbahari, who played the protagonist. I had heard that she lost her sister, whom she loved a lot. So whenever I wanted her to cry in the film, I was just giving her a kind of impulse, to remind her of her sister. Then it was impossible to stop her from crying. When I wanted her to look scared, I’d instruct her to move without any concern or worry, but in the meantime, I’d play some sounds or put a figure of Taliban in front of the camera. When she turned around to look, she was really scared on seeing the Taliban figure. It was these kind of tricks. Ram: This question is to Girish Sir. You attended the Sg.SAIFF screening of Siddiq Sir’s Osama yesterday. What did you think of it? Girish: I have seen Osama earlier, about three to four times. I have also recommended this film to a lot of people because I love it very much. Although the situation in Afghanistan and India are slightly different, the emotions, the oppression, subjugation of women… are all very, very similar. This film explains it much more effectively than any other film that I have seen. I make it a point to get it screened very often. The acting is so good, the mounting is so good, the mise en scene is so good. I use this as a perfect example for making a film with minimal resources. We often hear people complaining, “We don’t have budget! We don’t have any facilities!” But here’s a great film which is created with minimum technology. This film shows us that it’s not the technology that’s important, it’s the art… the feelings for the characters and situation. Ram: This question is to Siddiq Sir. Many frames and scenes of Osama gave me the impression that you must definitely be someone who reads poetry. I would like to know if that’s true. Has poetry inspired you to create visuals? Siddiq: Of course! (smiles) How can you be a Persian speaker and not know poetry? It’s our life. Poetry is our life! I think when a tragedy gets much deeper, it naturally turns into poetry. For example, in the opening sequence of Osama, you see a huge crowd of women wearing blue burqas for a demonstration. I wanted to shoot how they rush from the top of the hill to the bottom. It reminded me of the words of a famous Persian poet in Afghanistan. He said, “The blue river comes from the blue sky and it goes to the blue heart.” I thought this was a river of blue burqas coming from the skies to the earth. I pointed the camera a little to the sky while shooting it. I wasn’t exactly sure about the colour tone because I didn’t want to use blue too much in my film. The colour changes the ambience of the time period. The dark time of Taliban rule shouldn’t have any bright colours. But this part of a poem made me build up the mise en scene of the film’s first shot. Ram: Who was the poet? Siddiq: I’m still trying to remember his name. I’m not sure, but he can be Shayeq Jamal. Ram: Girish Sir, I saw one of your films (Ek Ghar) last year at Sg.SAIFF. You mentioned then how you like to add multiple layers to your films while Adoor Gopalakrishnan takes a bare minimum approach. How do you approach this process of layering? Do you first ensure that the film has an emotional connection with the audience? How does it happen? Girish: The first and foremost aspect of a film for me is the emotional experience that one gets while watching it. I prepare that thread first. I work on the script so that the storyline makes an impact on the viewer, the listener. Even when I’m narrating my script, I pay attention to see if the listener is impressed by the emotional thread. Then I start layering. The film first grows horizontally, then it grows vertically. Can I make this scene relate to some other incident? Does it relate to our mythology, our social and political structure? That’s how I work. I think there are many layers to each image and each narrative. Then I start bringing in all the layers. I don’t fix everything beforehand and then fit the story into it. I fix the story first and then see if I can weave layers into it. Ram: I’d like to end with a question about film festivals in general. Do you think film festivals today need to do something extra or different from what they are already doing? Are the same people watching the same kind of films and saying the same kind of things? Should film festivals do something to be more inclusive, to bring in people who don’t usually go to such events, and engage them in conversation? Girish: We believe in one kind of cinema. Let me be very clear. I believe in this one kind of cinema. My duty, even when I organise a festival, is to make that kind of film acceptable to everyone. I don’t want to dilute a festival and attract more audience. By sticking to my belief and my faith, I try to attract as many people as possible. That’s one of the reasons why I say we should have more discussions with the directors, so we understand the films better, more discussion about the films that are shown, and more workshops to enable people to make that kind of films. I know many film festivals want to reach out to a larger audience and bring in films that they don’t believe in. Then what’s the point? If you think that filmmaking is a political act, then we need to have some rules. This isn’t a market! We tend to use a market strategy for everything. If you have a certain ideology or belief, you try to convince people. You’re not going to go and find out what they like and speak according to their whims and fancies. You stick to your ideals and then try to make it simple and explain it, so that everyone understands. The purpose of a serious film festival should be to bring in serious cinema, yet make it likeable to the audience. This is a very, very difficult task. Unfortunately, most festivals in the world have started diluting their films so that they attract larger crowds. Then what’s the difference between a film festival and regular cinema halls? Where’s the need for a film festival if you’re only bringing in films that are liked by the majority? You can ask this question to all other arts too. There’s serious literature and pulp literature. Pulp literature is definitely more popular than serious literature. Ram: When you screen films that you believe in, as you said, how do you make it more accessible to people who are reluctant to see them? Girish: By exposing them to such cinema. As simple as that! See, earlier in India we had only one film festival, and that was in Goa. Only people who wanted to see serious cinema, from Kanyakumari to Kashmir (south to north) would go there. And how many such people were there? A few thousand. Today you have hundreds of film festivals in India. In each village, in each centre you have thousands of people. In the Bangalore International Film Festival alone last year, around 24,000 people attended and watched films. People have started liking it. I understand the problem here. In India, the audience for serious cinema was not there because the films were not available. Satyajit Ray is probably the most gifted filmmaker in India. Do you think his films were available for everyone to watch? No. People from other languages were not even aware of the existence of a man called Ray… We were not used to seeing films with subtitles. The films were not distributed outside Bengal. Only people who went to film schools and festivals got to know about Ray. But today the scenario has changed. Today there are more number of people who can appreciate serious cinema. So why should we dilute the purpose? I’m sure if you stick to one kind of cinema, those who are interested in it will definitely come. Then it percolates down to the others. It’s not the other way round. If you start doing it the other way round, you’re going to spoil it. I would say film festivals should bring the kind of cinema to which they are committed. Not dilute their purpose. It’s not a commercial activity to judge the success or failure by the number of hits and visits. What matters is how it’s going to affect the viewer on a very subliminal level so that the result is seen after 2 years, after 5 years. One film festival in India in the 1940s, which had films by Visconti and De Sica, could convert Bimal Roy and Satyajit Ray into filmmakers. Mrinal Sen became a filmmaker after a film festival. That should be the purpose of a film festival, not by bringing in many Bollywood films, Hollywood films and other popular films to increase your audience base. Cinema halls are doing it already. Why do you need a film festival for that? Siddiq: I completely agree with Girish Saab. I’d like to add that most of the arthouse films don’t have any particular venue to be screened. There is an absence of auditoriums for these kind of films. The festivals are the only opportunity to find an audience for these films. The festivals have a big responsibility to introduce a different face of cinema to the audience, especially when you’re inviting filmmakers along with their films. It makes a lot of difference. It creates more understanding in the minds of audiences. It is another opportunity to give some ideas to the younger generation, like the story of Satyajit Ray Saab after watching some De Sica films at a film festival. Many of these film festivals are a very strong platform or stage to bring about change. Even for tourism! Look at some film festivals like Cannes, Venice or Goa. They’re not just film festivals, they are also tourist attractions! A lot of people know the geography of these cities through the festivals. I’m sure that film festivals can be very unique, not just presenting Bollywood or Hollywood films. Unfortunately even the biggest festivals around the world today have forgotten their responsibilities and duties. I was very disappointed when Locarno film festival opened with a Hollywood blockbuster. This is happening at Cannes too. (Girish nods) Cannes was a place of new discoveries! Now there are no discoveries. We also have the other side. We used to conduct Indian film festivals. People used to come to see Hindi, Tamil and Telugu films but they would not come to see a North-Eastern film. But a film festival should continue to screen such films because the north-eastern region of India is making fantastic films. But people don’t want to see these films, they would rather see Bollywood films. Earlier, people never went to see Marathi films. Today, people will stand in the queue for Marathi films and not other films. That’s the kind of awareness film festivals could bring in India. That should happen all over the world. As he rightly pointed out, why are many festivals trying to bring in major films and blockbusters to open their festivals? Siddiq must be in the advisory committee to change this! I would say start with serious cinema, end with serious cinema. You tell the audience that this is a serious activity. You don’t go to a literary festival and start with a pulp novel. Amit: I think big festivals are motivated by money. The moment you show a big film, you get big sponsorship. With big sponsorship, they can have a bigger festival. They can enjoy the perks of being festival organiser. They can lead a more lavish life as a film programmer and curator. I mean, it gives them the budget to lead a better life. So I think there’s a selfish interest among people organising these events. Girish: That’s one of the reasons why I prefer smaller festivals… because they are more focussed and you have personal contact with all the filmmakers. It’s not impersonal. I have attended some major film festivals which are totally impersonal. You are given a big accommodation in a five star hotel with all facilities but nobody is there to talk to you. People who can shout louder get more attention, not the person who made better films. Whereas with a small festival, only people who are interested in cinema attend it. They really look for the good films and they chase the good filmmaker. They really want to find out about serious issues. What happens in the major film festivals is simply lavishness. I’m not interested in that. If I wanted lavishness then why would I be here? I would have joined Bollywood. Today cricket is paying very well. According to that logic, everybody should be a cricketer (laughs) and not a footballer. In India, football or athletics doesn’t pay you anything. So one should be a cricketer or a tennis player. Ram: Amit, do you have any final comments? Amit: This small gathering of the four of us is a very healthy sign that we’re trying to do something, and we’ve made a small beginning. Getting these filmmakers here and talking to them, asking meaningful and serious questions to them and getting their message out to a wide audience—what you’re trying to do through this interview is very meaningful. Like Girish Sir just said, small festivals really focus on films and filmmakers. They don’t lose their focus with other distractions. I hope that our festival will continue to become more focussed. In achieving that focus, we’ll be serving both filmmakers and film viewers in a better way. I hope that journey continues. Thank you to all three of you for making this interview happen. Thank you. Notes from Sg.SAIFF 2017, featured in The World of Apu Issue 4. May 10, 2018. The parallel cinema of Girish Kasaravalli by CV Aravind. The News Minute, November 25, 2017. Roger Ebert’s review of Osama. February 20, 2004. Where to begin with Jean-Luc Godard – the early stuff by David Parkinson. BFI, May 10, 2018. Shyam Benegal’s Ankur and the beginning of a film movement by Sangeeta Datta. Scroll.in, December 14, 2016. Our interview with Amit Agarwal, Artistic Director of Sg.SAIFF 2018.